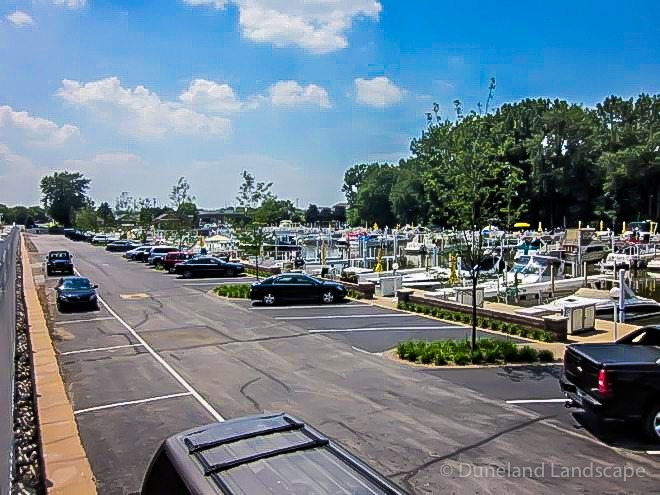 One of New Buffalo, Michigan’s finest features is its beautiful Lake Michigan marina. 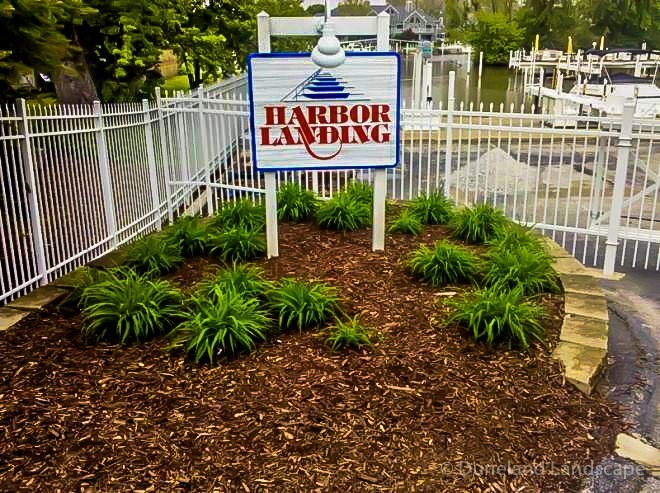 The newly renovated Harbor Landing boat dock ensures your experience is off to a great start. 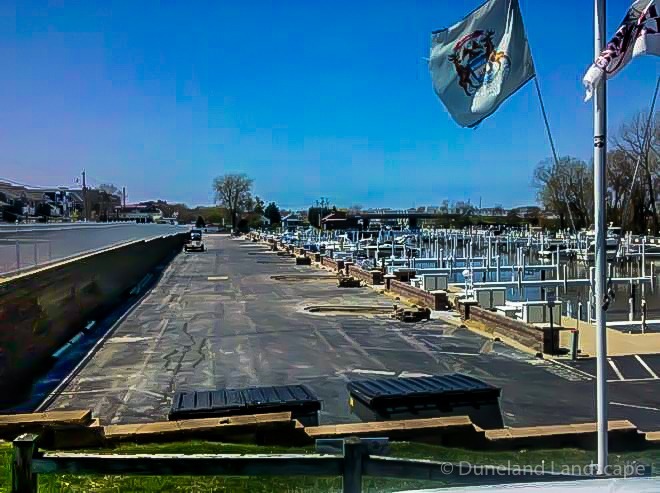 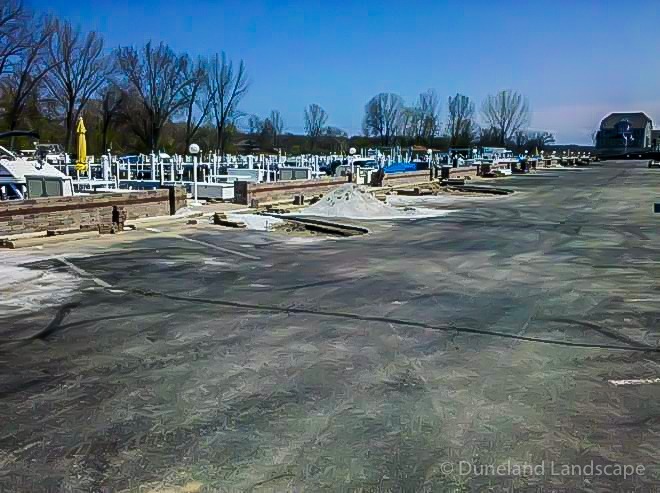 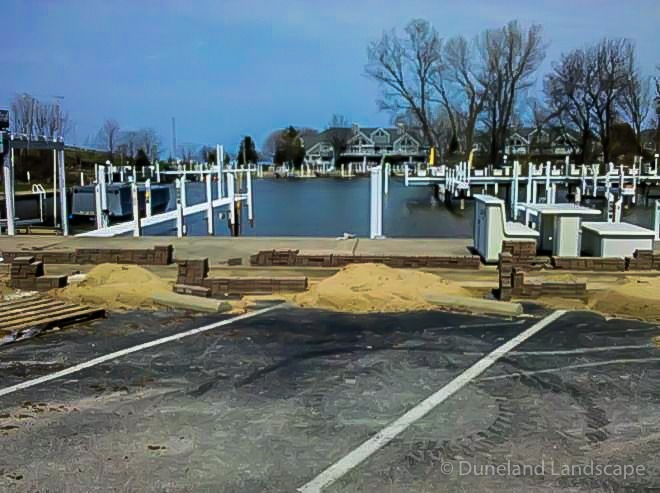 Duneland Landscape was able to pave the way to perfection for this Lake Michigan waterfront through much needed renovations. 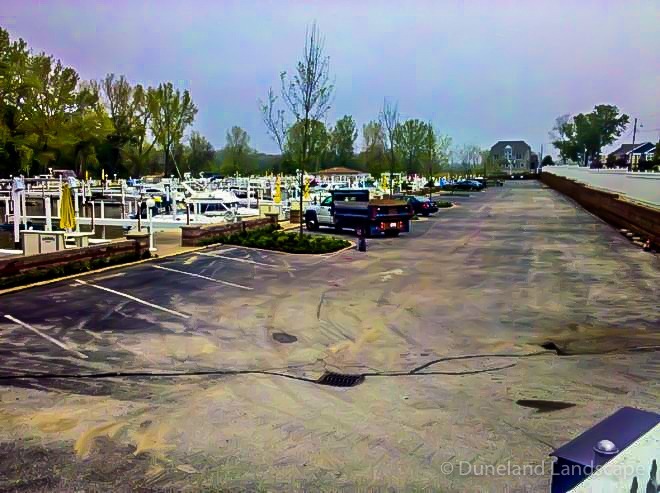 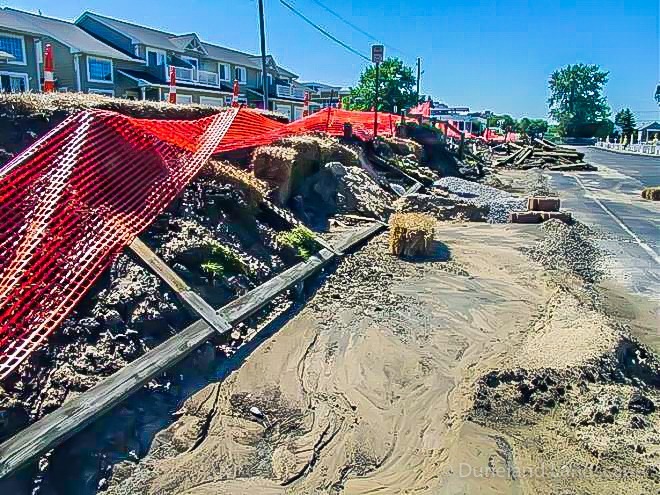 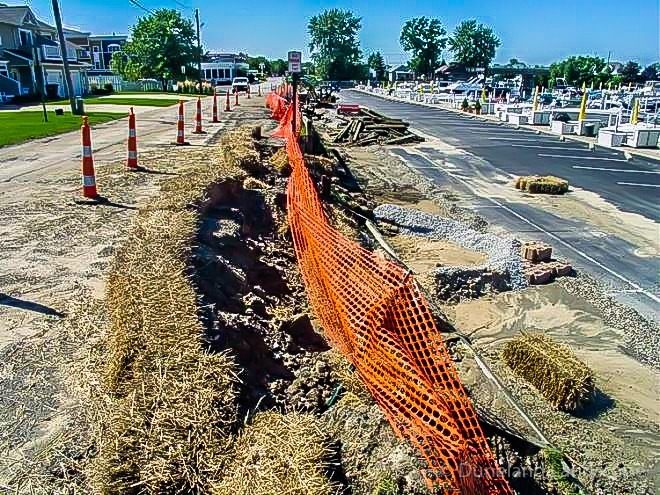 The upgrading of this Lake Michigan harbor began with redoing the parking lot. 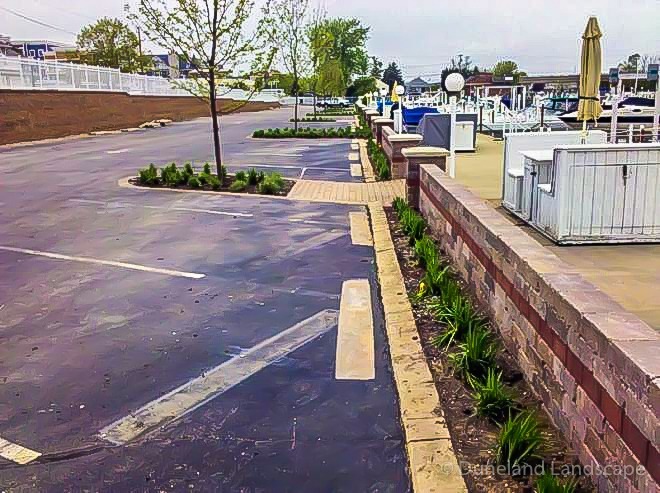 Duneland Landscape designed and installed custom retaining walls and landscaping throughout the lot. 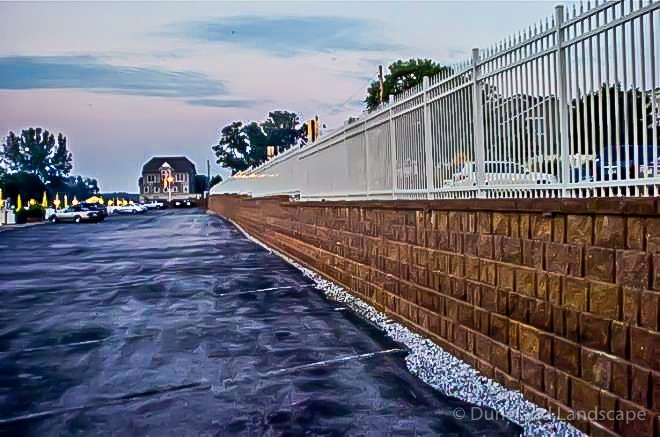 The much-needed retaining walls were constructed using red bricks. 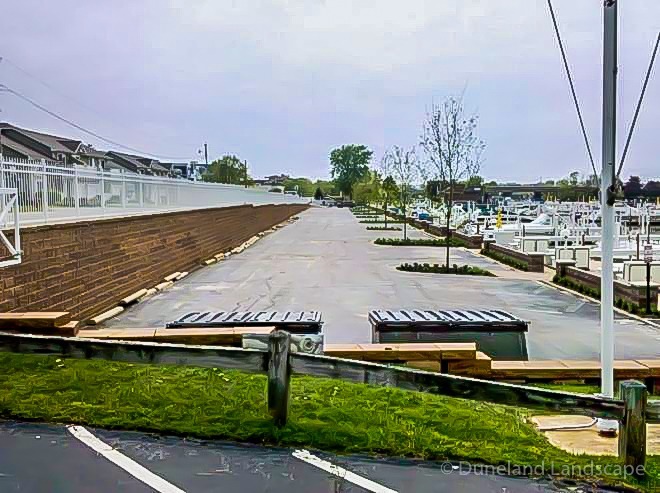 These red bricks allow for a strong definition separating the parking lot from the street and the dock. 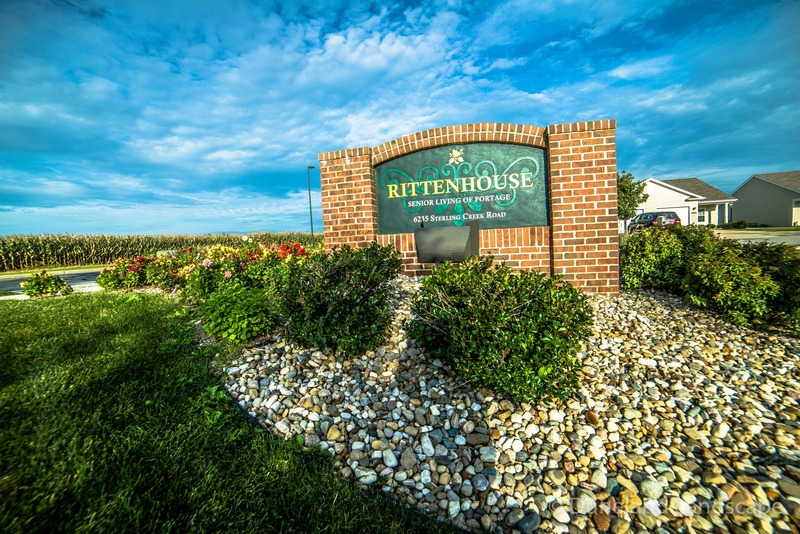 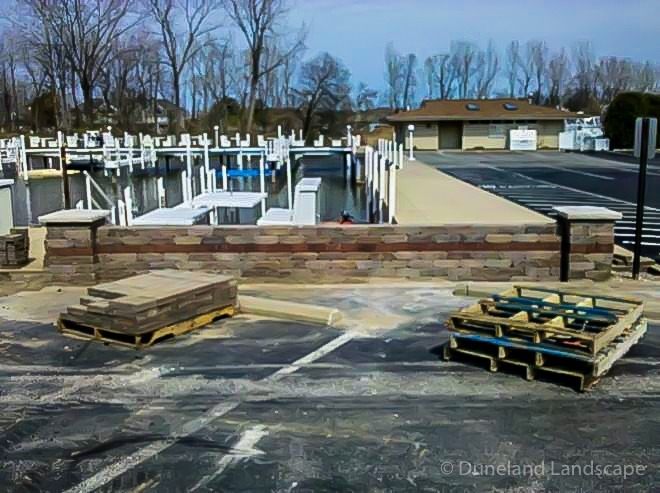 Duneland Landscape constructed these retaining walls to make the lot more welcoming. 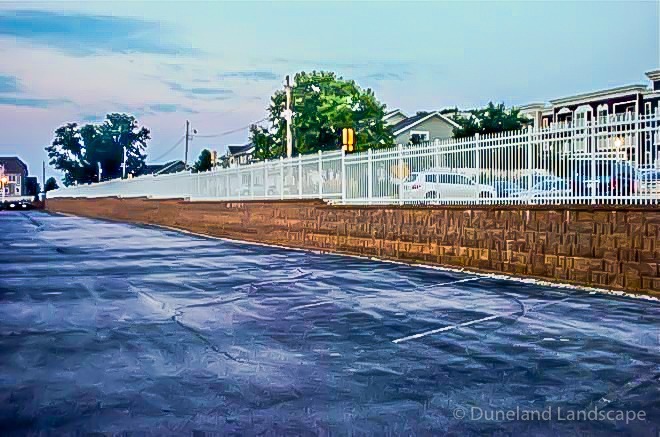 The wall was also designed to allow for proper drainage to shield the parking lot. 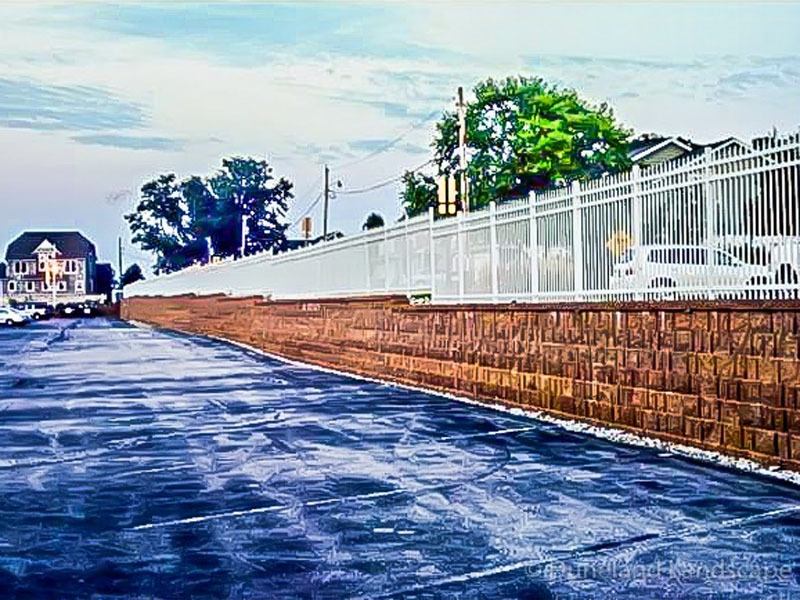 The brick retaining wall is lined with a crisp white fence up top to separate the street from the parking lot. 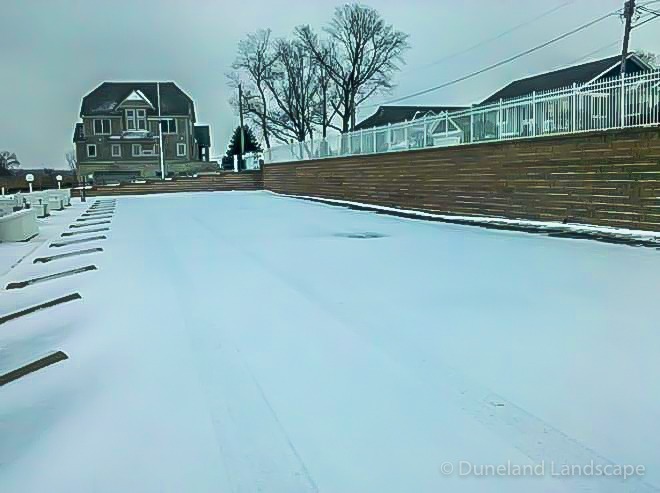 This fence also serves as a guard rail to prevent guests from tumbling down the new retaining wall. 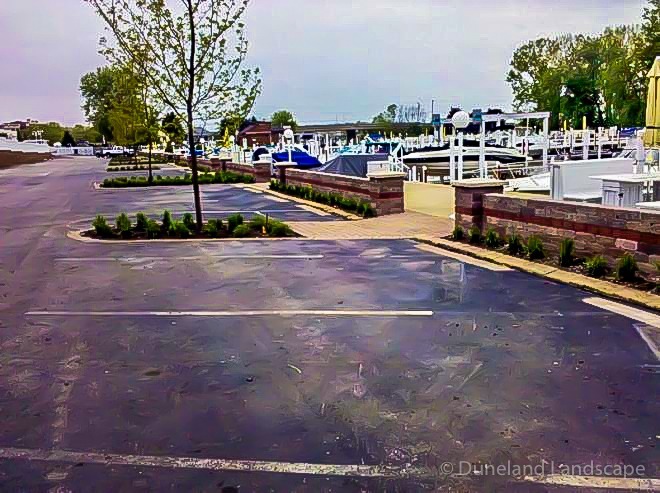 We also installed vibrant walk ways for guests to enter the boat dock. 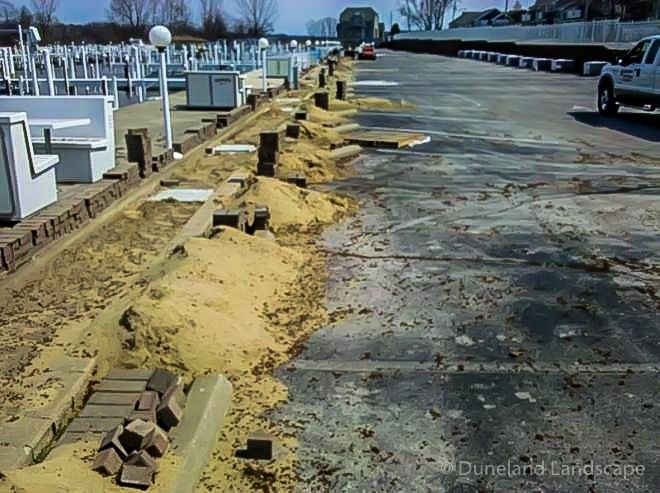 Brick paver edging defines the walkways and the planting beds. 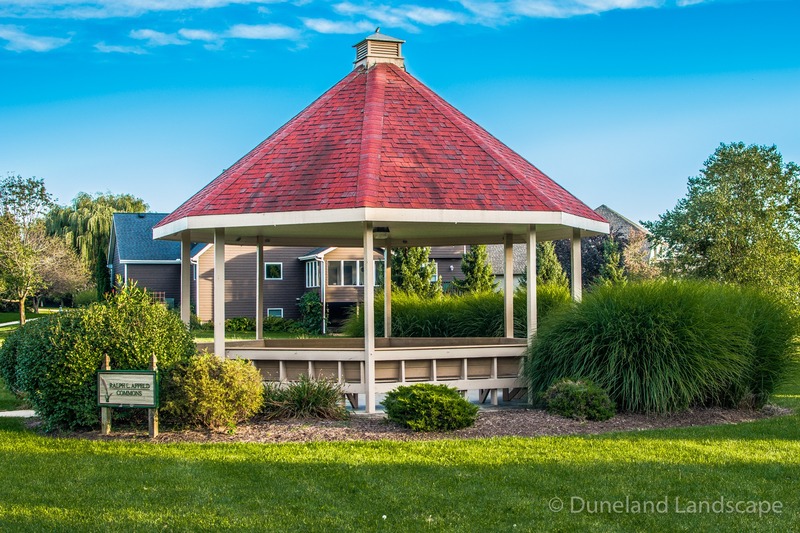 The unique design Duneland Landscape created and installed adds practicality and simplicity. 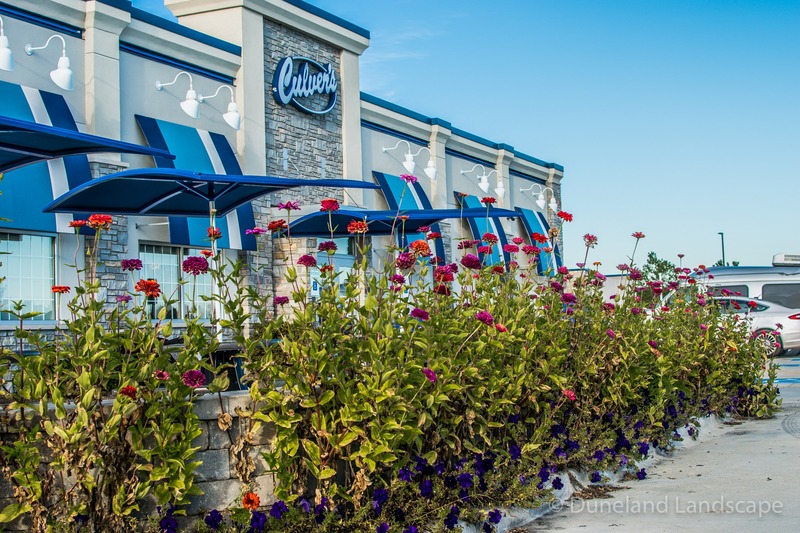 We were sure to include colorful landscaping in the planting beds. 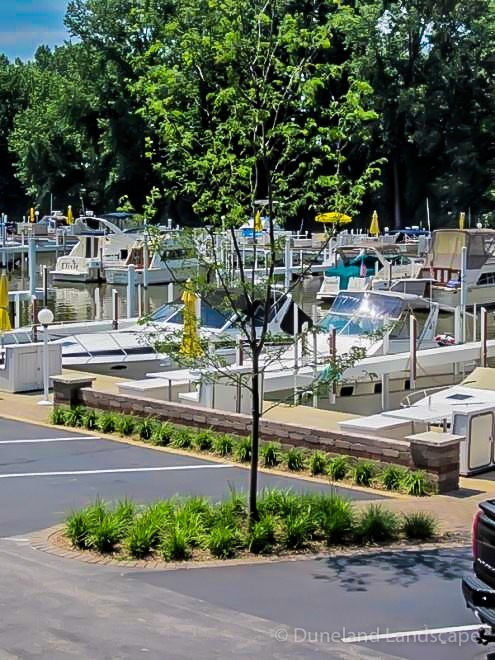 This hue of color gives life to the marina inviting guests in all season long. 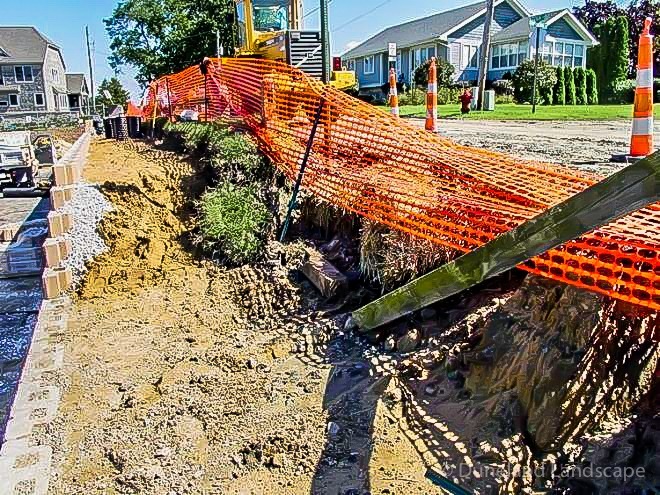 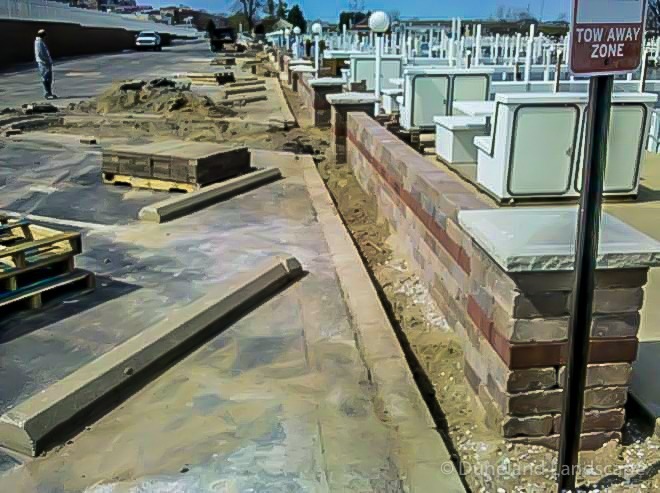 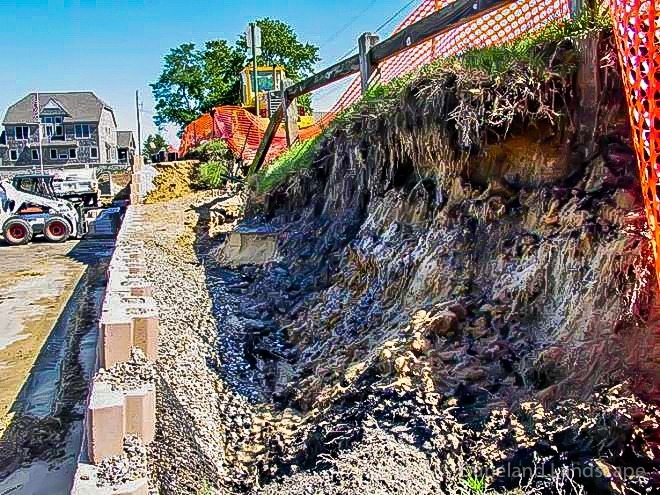 Does your Northwest Indiana and Southern Michigan business have retaining wall or hardscaping renovations you want done? 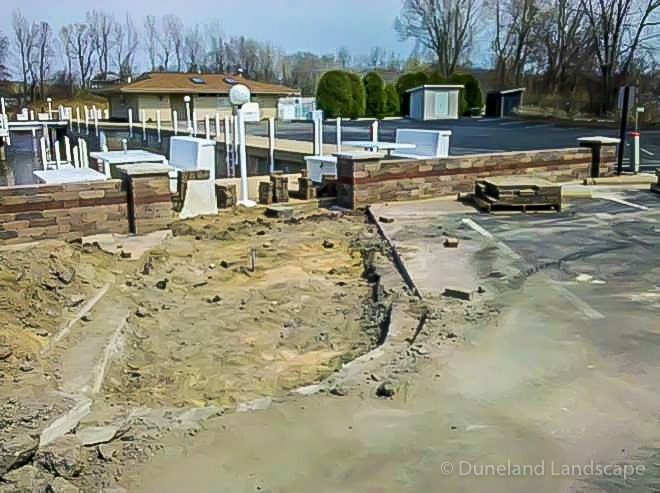 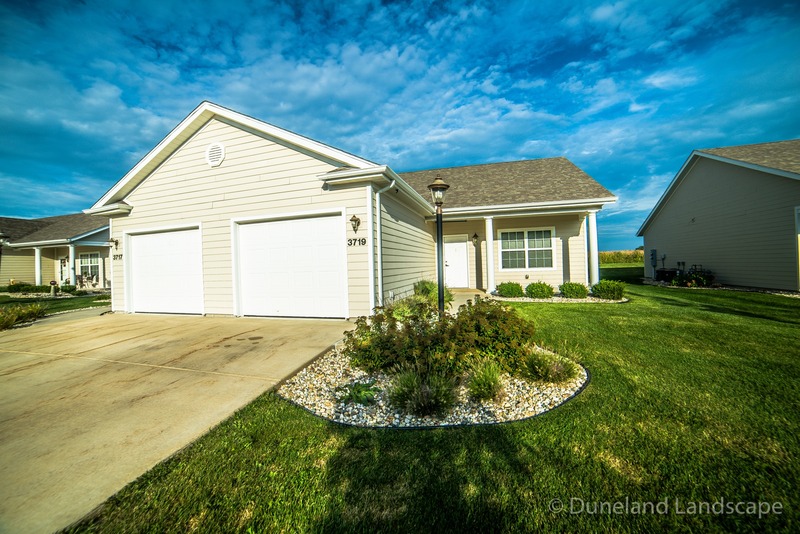 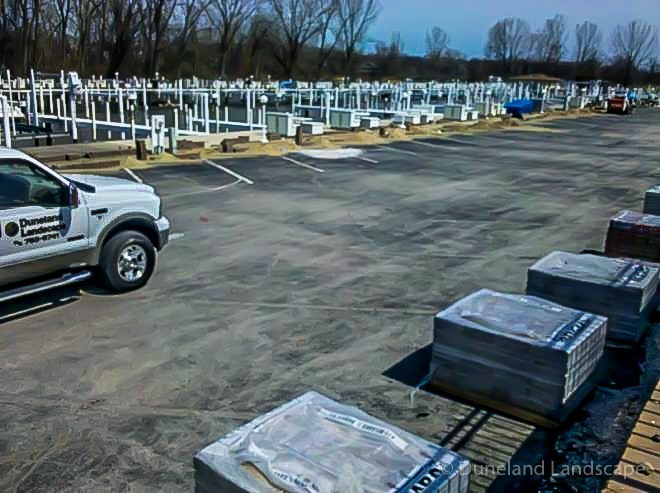 Contact the professionals at Duneland Landscape today to see how we can design and install your custom landscaping.